I am linking up with Doodle Bugs for the weekly linky party. So here's my week in a nutshell. We have been working hard on our fluency this week. 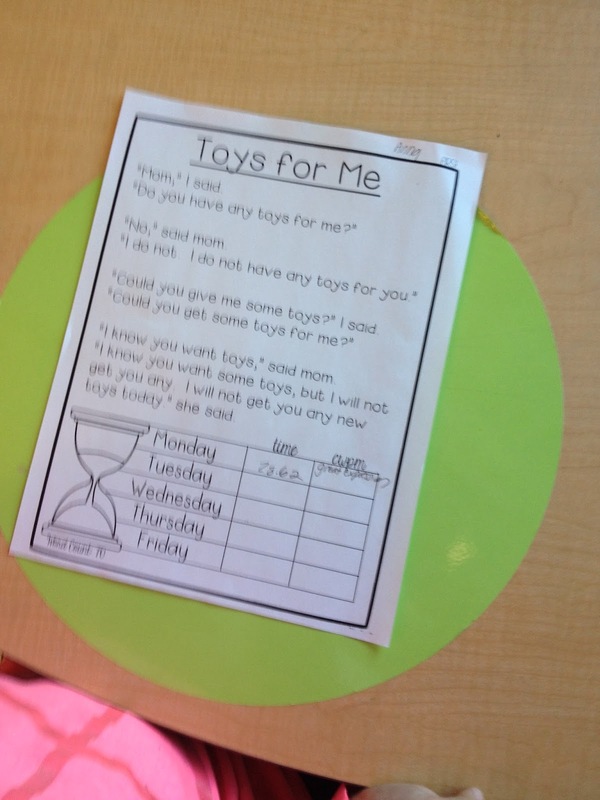 I love, love, love this fluency resource that I bought from the fabulous Cara Carroll on TPT. Let me tell ya'll....this has helped my kiddos TONS! 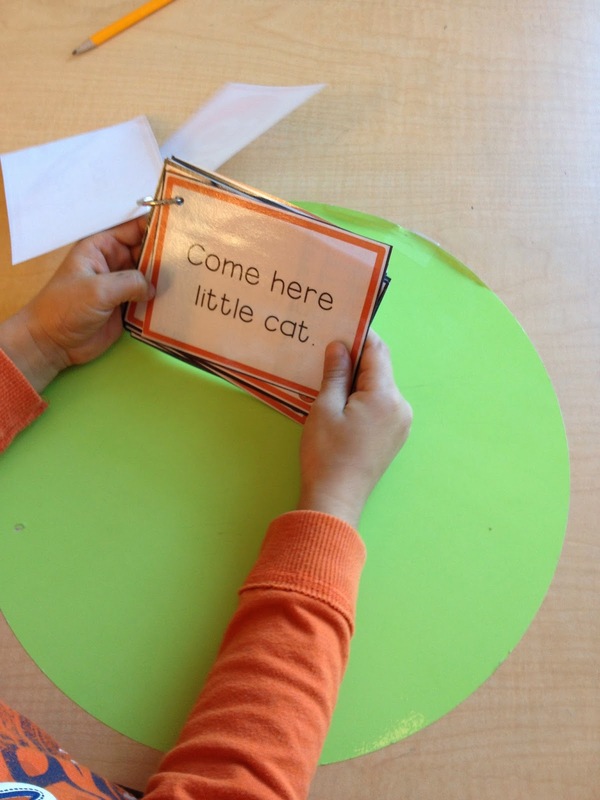 They love the fluency phrases that they keep in their book boxes and practice. They also love getting an award once they have mastered these phrases! 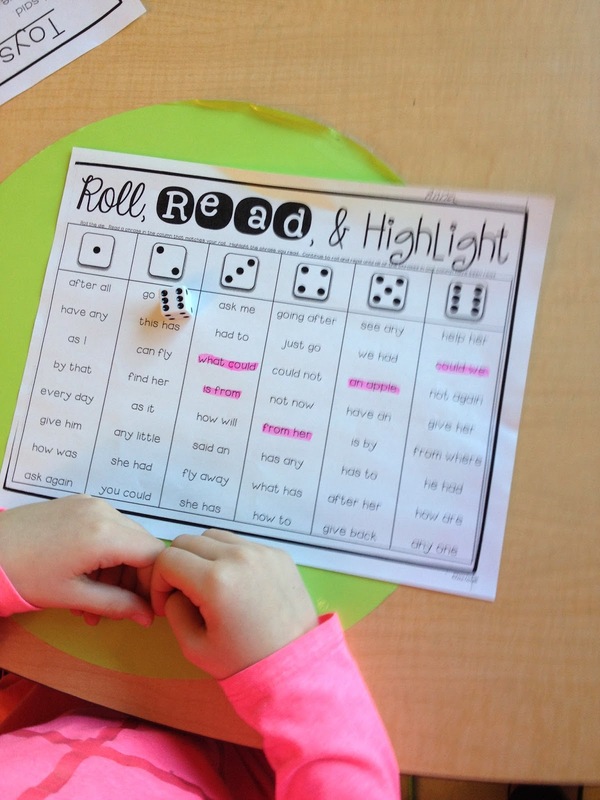 Roll and Read the fluency phrases game is also a favorite! And trying to beat their time in reading their fluency passages is very motivational! 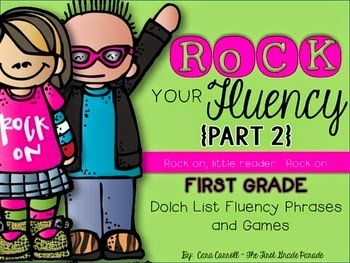 If your kiddos are in need of fluency practice I cannot say enough good things about this resource! My students and I both love it and when the reading specialist saw us using them the other day, she thought they are amazinng! 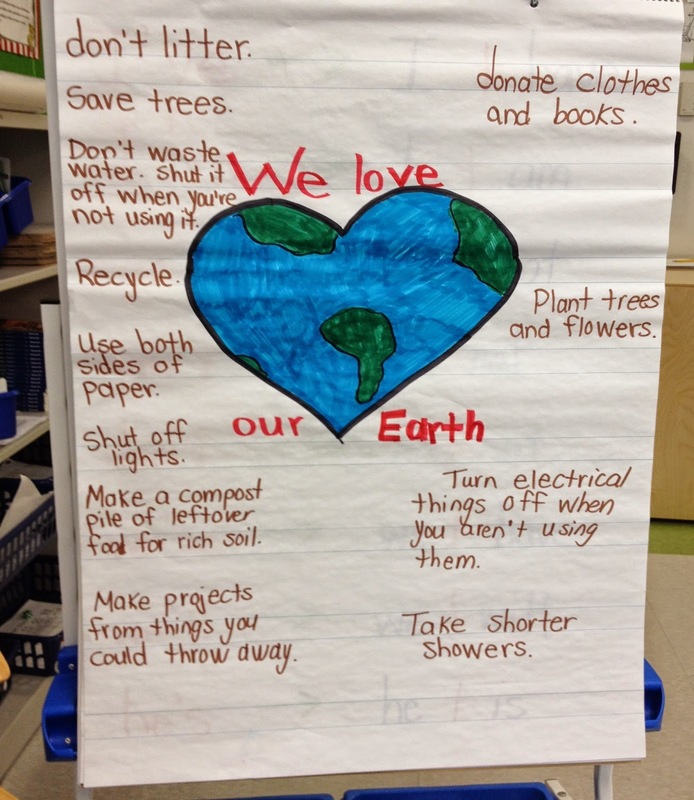 we made an anchor chart to depict ways that we can help our Earth. 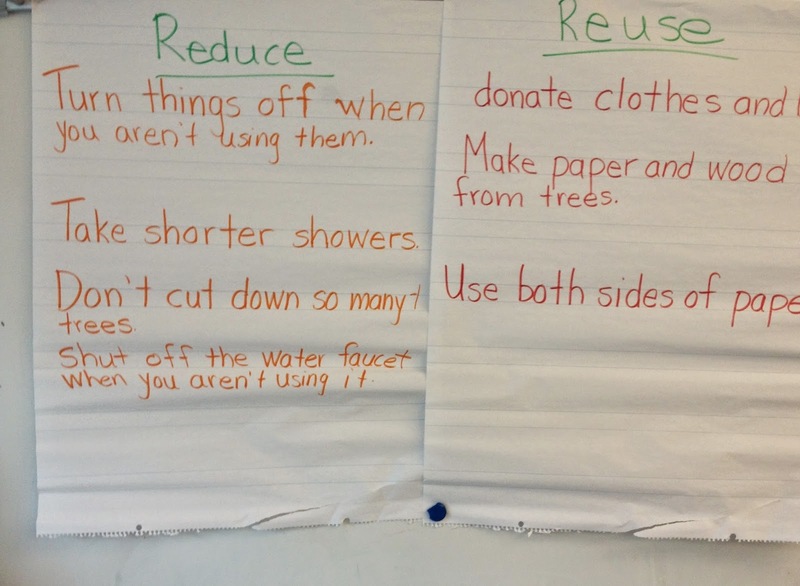 We then discussed the terms reduce, reuse, and recycle. We determined the which thoughts/ideas from our anchor chart could be sorted into these 3 catergories and we circled them by color on our anchor chart. 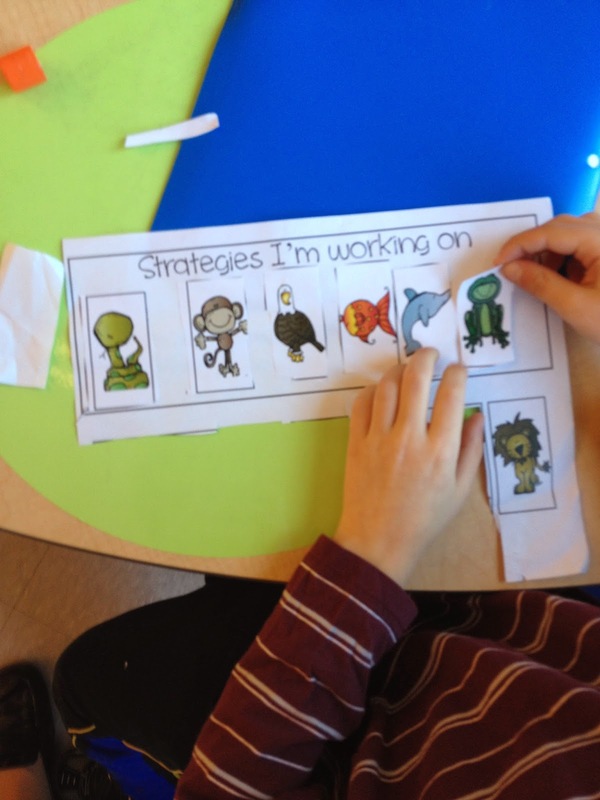 Next, we added these ideas to each of the 3 anchor charts we created for these categories. 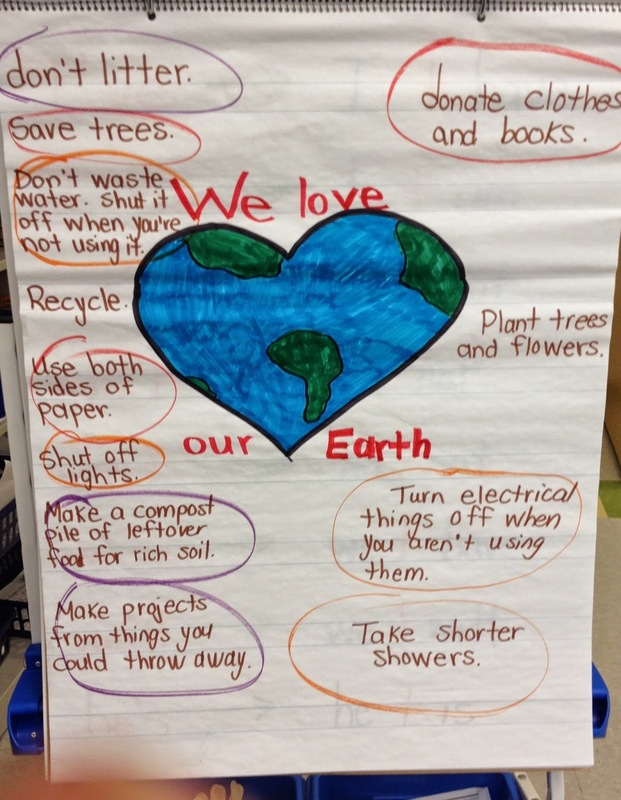 Students chose one thought from each anchor chart to write on their Reduce, Reuse, Recycle, writing response sheet. 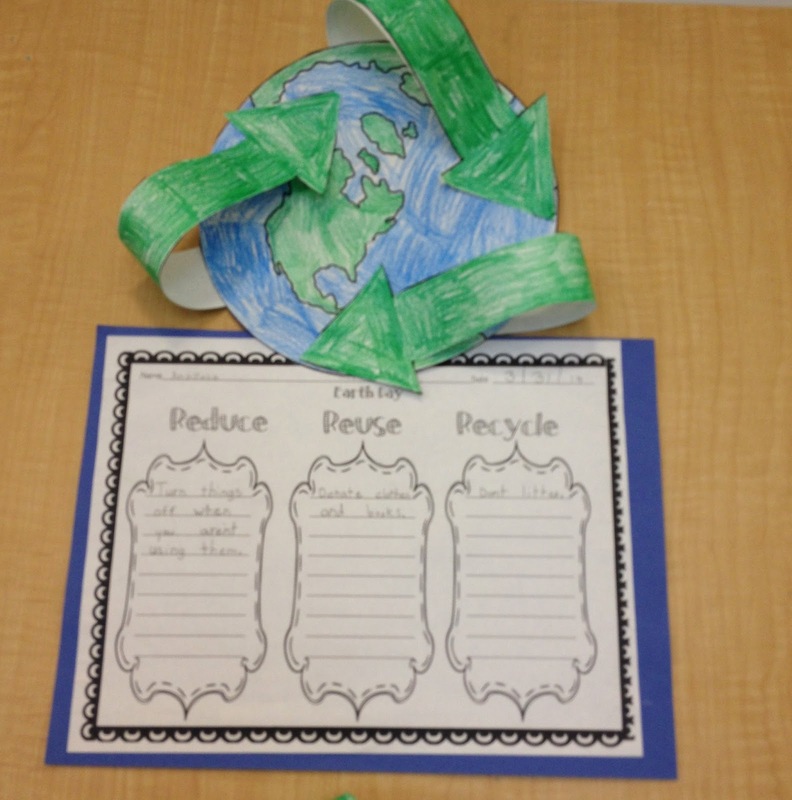 After coloring in a picture of the Earth we used theseearth pictures and the writing prompt to create this adorable craftivity from The Lesson Plan Diva which you can find for free on Teacher's Pay Teacher's. 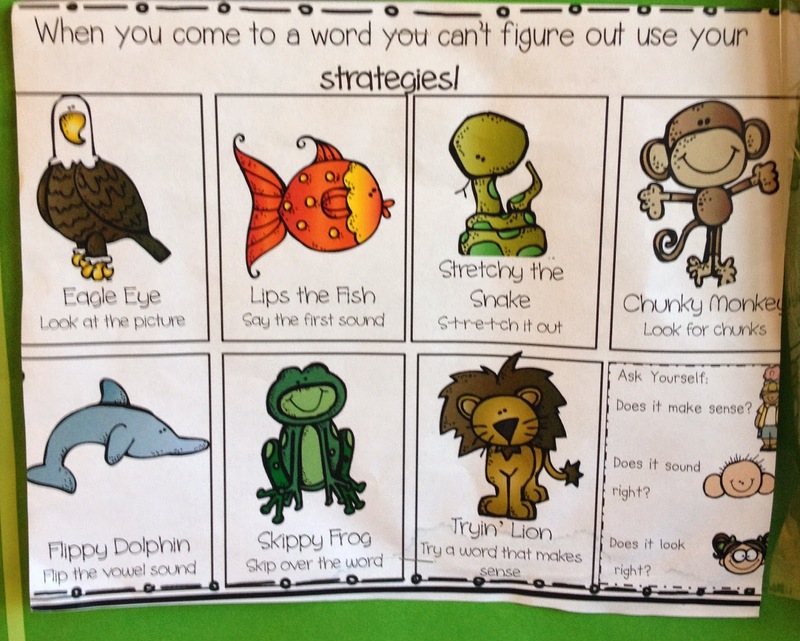 We have been reviewing our reading strategies this week. 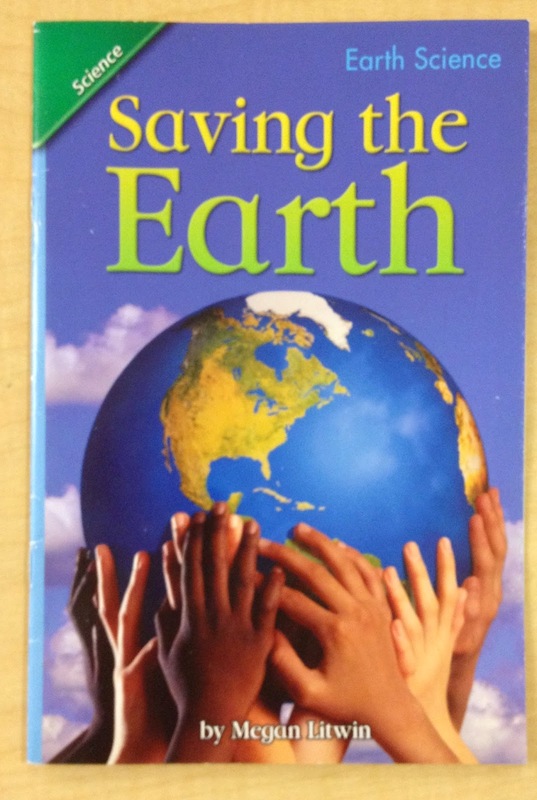 I use Deanna Jump's Guided Reading 101 resource every year for this. We keep our reading strategies sheet, our fluency Roll and Read phrases, our fluency reading passages, and some other word work activities (such as word family mini books) in our folders in our guided reading bins. We do math strategy groups in my school 3 days a week. This week, we used this fun bunny hop bump addition game. I wish I remember where I got this from! 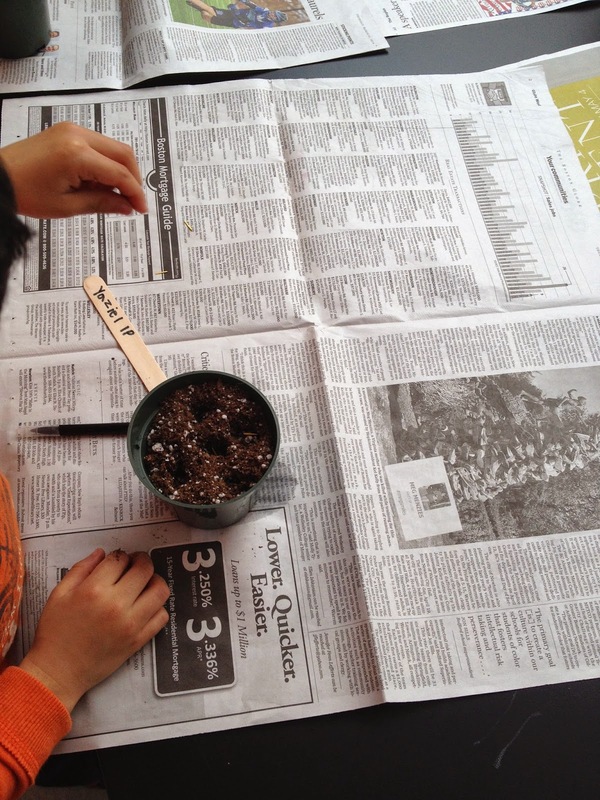 Lastly, we planted marigold seeds and wrote an informative writing piece on how to plant a seed. Now it's your turn to link up. 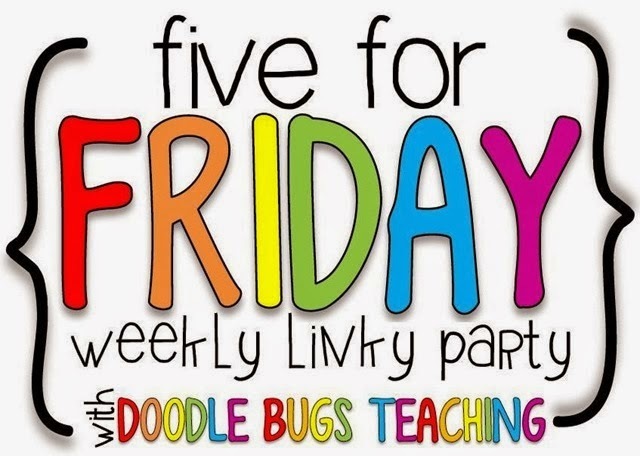 Head on over to Doodle Bugs and link up! See you there! Thanks so much, Mandi! You made my day!